This episode of Wisdom Teachings seemed to cover more topics of discussion than one could fit into a half-hour time-frame (not to mention an article of reasonable length). As mentioned by David Wilcock, there are numerous subjects to discuss on pyramids, as these subjects basically incorporate most of the material in the Wisdom Teachings series. For the sake of balancing conciseness with depth of detail, I have chosen to concentrate on a few different subjects which Wilcock mentioned, and to digest how these different subjects tie into the technology of pyramids. As said before, numerous topics were mentioned during this discussion. Along with these, many great names in alternative science were referenced. These are each scientists who took a step back from convention in order to answer the question of how our universe really works, and whether or not the present, scientific mainstream has accurately explained it. Linda Moulton Howe was mentioned, and her research of pyramids found underground in Alaska. There was Dr.Patrick Flanagan, and his study of the influence of Earth-energy on the different shapes it interacts with, as well as Dr. Nikolai Kozyrev and his groundbreaking discoveries on torsion fields. Each one of these people found strong evidence that the Earth is emitting some type of harmonic energy (which goes beyond electromagnetic energy), that this energy is essential to life, and that it can be influenced by various shapes, such as pyramids. This collection of research shows the likelihood that these pyramids have a significant purpose behind them. As this episode started out with a recap from the previous episode, I thought it a good idea to follow suite, for the sake of introduction and understanding. (Though if you haven't read the previous article, I strongly recommend that you do, so as not to feel lost in all of the details.) Started out, Wilcock mentions the origin of the word “pyramid”. We turn to Etymology.com for the following meaning. before vowels pyr-, word-forming element form meaning "fire," from Greek pyro-, combining form of pyr (genitive pyros) "fire, funeral fire," also symbolic of terrible things, rages, "rarely as an image of warmth and comfort" [Liddell & Scott], from PIE root *paəwr- "fire" (see fire (n.)). Pyriphlegethon, literally "fire-blazing," was one of the rivers of Hell. late 14c., from amidde (c. 1200), from Old English on middan "in the middle," from dative singular of midde "mid, middle" (see middle); the phrase evidently was felt as "in (the) middle" and thus followed by a genitive case, and if this had endured we would follow it today with of. (See amidst for further evolution along this line). According to the book, “Alien Agenda: The Return of the Nephilim” by Aaron Judkins and Michael McDaniel, the ancient Hermitians referred to the pyramids with another term. So we have these translations of House of Energy, and Fire in the Middle to chew on, and we're tasked with researching the science behind these meanings so as to find some amount of validity to them. (Of course in this task, it is important to remember that the scientific establishment has already precluded that there is nothing more to know, and that to further study the issue is ridiculous. The problem with this stance of the establishment is that it is unscientific. Preclusion is very common among the scientifically narrow-minded, yet this preclusion is a definitive enemy of reliable science. Needless to say, we aren't interested in preclusion, but in thorough investigation for the sake of reliable conclusion.) To start our investigation, lets look at the subjects of harmonics and geometry. “The Earth rings like a bell”--a commonly quoted statement from Nikola Tesla, but what does it mean? Could Tesla simply have been referring to the geotectonics of the Earth, or is there something more to this statement? I'm of the opinion that Tesla was referring to more than simply earthquakes and aftershocks. 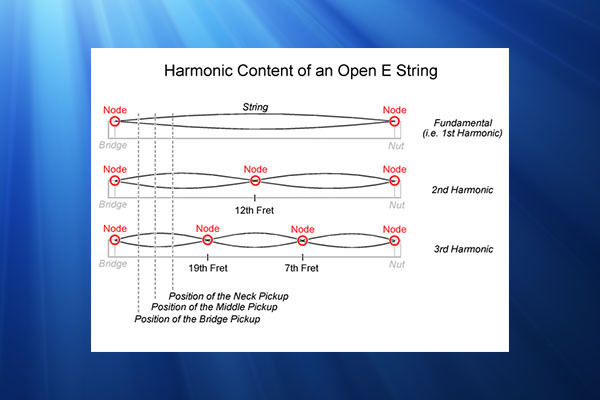 The science of harmonics is one of both surprising complexity, and yet astounding simplicity. Lets take a look at a common wave form. This is a standing wave (the image to the right). Of course, we call it this because it doesn't go anywhere, but instead, stays in place. These waves can be created in almost any fluid environment and when they are, they tend to form distinct, three-dimensional characteristics in geometry. It was Dr. Hans Jenny who coined the science of “Cymatics”. This was the study of the geometry that results when a fluid substance is exposed to perfect harmonic tones, such as those we find on a piano. 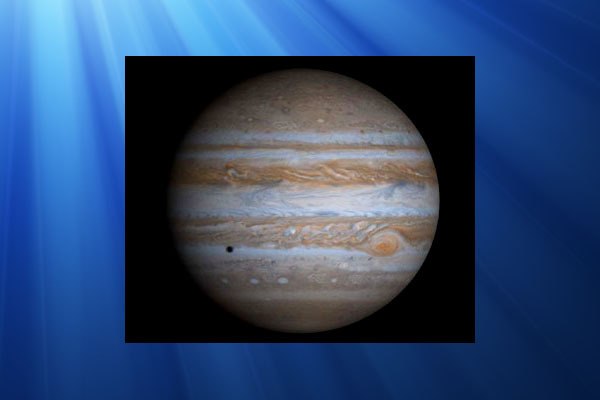 Jenny proved that these standing waves can be found everywhere the conditions are right, and when given the space to create them, these wave occur three-dimensionally and follow spherical geometry. This spherical geometry takes the form of what we refer to as the “platonic solids”. (Before we get into the meat of this discussion, I felt it necessary to address one topic. It's no secret that numerous rumors of shape conspiracies are floating around which boast of supposed lies that NASA has told about the Earth's shape. However, as I've learned and observed over months of time, these conspiracies are founded upon clearly broken logic. This logic starts with the truth that NASA often tells half-truths and lies. However, this logic completely breaks down when the unproven assumption is made that NASA tells “all lies”. These shape-conspiracy narratives further assume that anyone who contradicts NASA is automatically telling the truth, and that there is no need to question the contradiction. Upon close examination, one will likely find that these shape-conspiracy narratives are nothing more than a list of 20-plus textbook tactics of propaganda and manipulation, strung together into one ideology. They include Ad Hominem Attack, Appeal to the People, Arguing from Ignorance, Assertion, Astroturf, Bad Logic, Bad Science: Bait and Switch, Bandwagon, Big Lie, Card Stacking, Celebrities, Composition, Demonizing the Opposition, Disinformation, Divide and Conquer, Division... and the list goes on. These are all age-old tactics, many of which have been around for centuries. The reason we still see them being used by the establishment is because so many people keep falling for them. The limited thought process behind these narratives are the exact same as those which caused each of us to be fooled by mainstream media for the majority of our lives. Consequently, I believe it is the responsibility of every mature adult to stop being the fool of someone else, to question and think critically on all information that we receive, and to learn how to determine fact from fiction before we start labeling this or that as “absolute truth”. Otherwise we have no one to blame but ourselves the next time we are mislead. 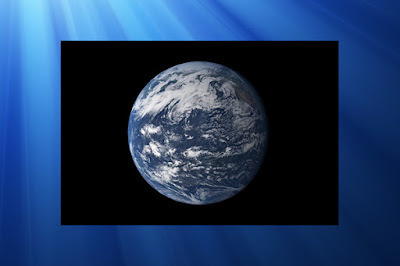 For more information on this topic, click these two links... Flat Earth and AstroTurf: An In-Depth Examination of the Line Between Information and Disinformation, The Anatomy of Propaganda – Examining Multiple Tactics of Psychological Manipulation in Media Today. For millennia, the concept of spherical geometry has been foundational within science, philosophy, and religion. 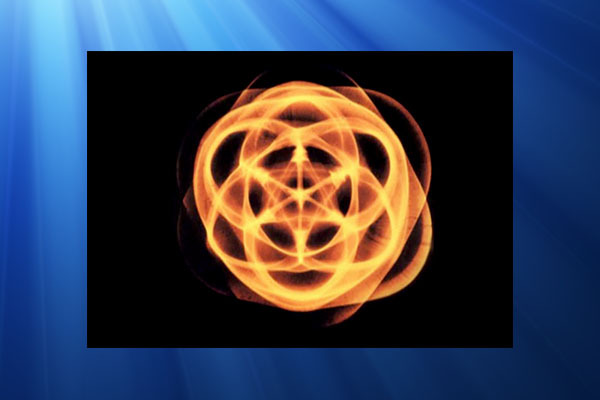 In modern times, we have multiple religious symbols, mathematical theorems, and new age concepts which give credence to this sacred geometry, but what does it all mean, and what is the connection between these numerous areas of focus? Many have heard of the geometric concept of the platonic solids. 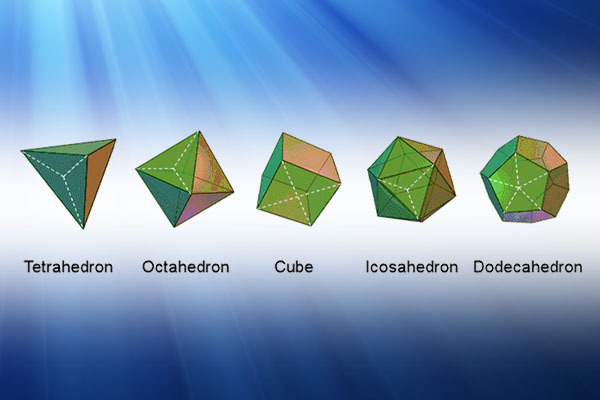 The tetrahedron, the hexahedron (or cube), the octahedron, the dodecahedron, and the icosahedron. These forms represent the most symmetrical objects in the universe. They are referred to as “spherical geometry” because every one of their corners is equidistant from their geometric center, and their relative forms each fit perfectly inside of a sphere of the exact same size. Here is what Wikipedia has to say about platonic solids. “In three-dimensional space, a Platonic solid is a regular, convex polyhedron. It is constructed by congruent regular polygonal faces with the same number of faces meeting at each vertex. Five solids meet those criteria, and each is named after its number of faces. 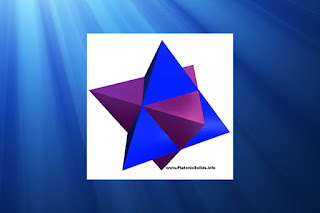 Geometers have studied the mathematical beauty and symmetry of the Platonic solids for thousands of years. They are named for the ancient Greek philosopher Plato who theorized in his dialogue, the Timaeus, that the classical elements were made of these regular solids. The Platonic solids have been known since antiquity. Carved stone balls created by the late Neolithic people of Scotland lie near ornamented models resembling them, but the Platonic solids do not appear to have been preferred over less-symmetrical objects, and some of the Platonic solids may even be absent. Dice go back to the dawn of civilization with shapes that predated formal charting of Platonic solids. The ancient Greeks studied the Platonic solids extensively. Some sources (such as Proclus) credit Pythagoras with their discovery. Other evidence suggests that he may have only been familiar with the tetrahedron, cube, and dodecahedron and that the discovery of the octahedron and icosahedron belong to Theaetetus, a contemporary of Plato. In any case, Theaetetus gave a mathematical description of all five and may have been responsible for the first known proof that no other convex regular polyhedra exist. These solids are named after the philosopher, Plato in modern times. However these forms were well known to many cultures which predated Plato by hundreds and even thousands of years. The Greeks, the Egyptians, and even ancient neolithic-age cultures seemed to have significant knowledge of platonic solid forms, but we aren't so much here for the name itself. There is one particular form which seems to be very significant in quantum physics, chemistry, biology, astronomy, and numerous other scientific disciplines. What The Heck Did The Ancient Egyptians Play With This 20-Sided Die? This shape we are focused on is created by interweaving the tetrahedron with its own inverse, or the inversion of its own form. 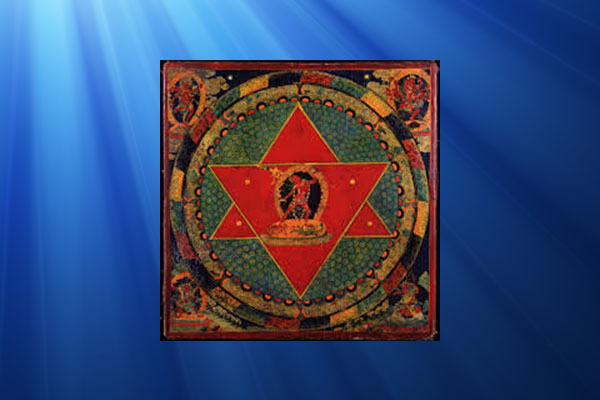 We are talking about the “star tetrahedron”, or by its more commonly-known name, the “merkaba”. This star tetrahedron can be seen in numerous settings throughout multiple disciplines of science, yet it is most commonly ignored, or simply thought of as a fluke (or nice coincidence). However, research in alternative science has shown that it is this shape which is the foundation of universal structure. The star tetrahedron appears in fractals and can be seen at every level of scale within the universe. In this explanation, we are particularly interested in the astral and planetary levels. Two note-worthy names in alternative science, Richard C. Hoagland and Lt. Col. Thomas Bearden, have both done solid research on this star tetrahedron and its various pronunciations throughout our solar system. From his website, Richard C. Hoagland presents a table detailing the numerous bodies within our solar system that show evidence of this underlying, tetrahedral geometry. 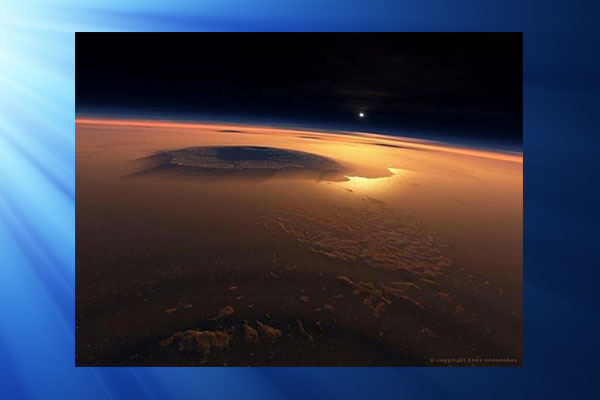 Northern IR 1-2 K "dip"
Southern IR 1-2 K "dip"
The "Message of Cydonia" - First Communication from an Extraterrestrial Civilization? Each one of these bodies within our solar system demonstrate this star tetrahedral-geometry. 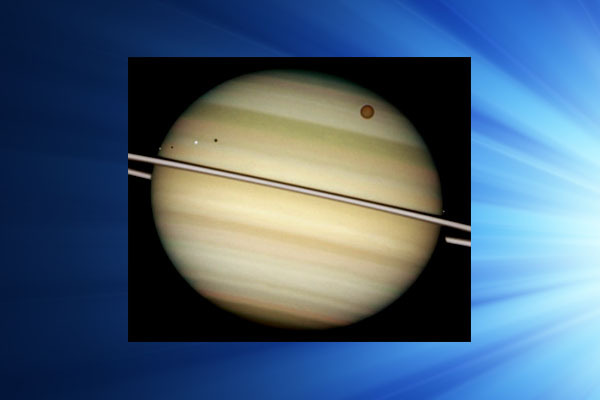 From Earth and the rocky planets to the gas giants, and as we will see, even the sun itself, all share this geometry. 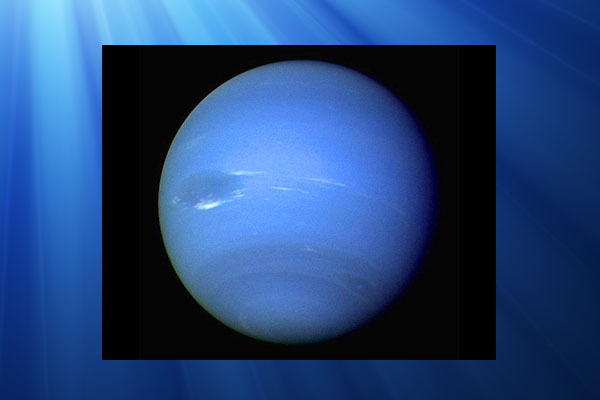 Our solar system has this repeated pattern of underlying, star-tetrahedral structure inside the spheres which we see. 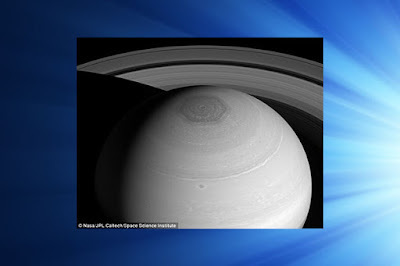 The rocky planets seem to pronounce this form via volcanic caldera, and the gas giants exhibit storm vortexes in these locations which last for hundreds of years without ceasing. Every one of these pronunciations of the star-tetrahedral geometry consistently manifests at around 19.5 degrees (give or take a few degrees), both above and below the equators of the planets. 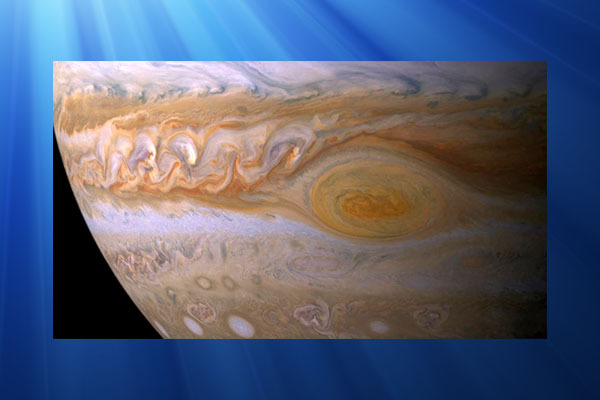 The Earth is of particular interest in this case, not simply because we live on it, but because it allows us to see this pronunciation of geometry on a living, planetary body. 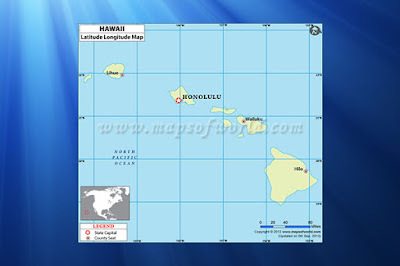 We can see the Hawaiian caldera is located at 19.6 degrees north latitude, which defines the star tetrahedron on Earth. However there are other pronunciations of this star-tetrahedral which further define this form. In the early 1980's, William Becker and Bethe Hagens set out to prove the geometric pattern of the Earth's ley lines. What they successfully charted is now referred to as the “Becker-Hagens Grid”. 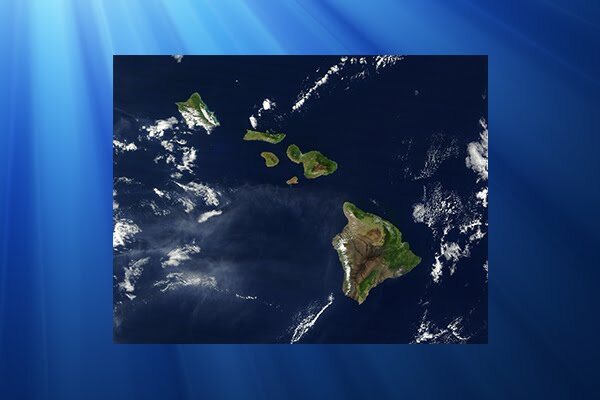 This grid is now the most coherent model of the Earth global grid used in modern times. Here is what David Wilcock wrote about the Becker-Hagens grid is his article, “Becker-Hagens: The Global Grid Solution”. “We show how the final Grid puzzle is solved when all of the basic Platonic Solids in the CU are plotted over the Earth's sphere. 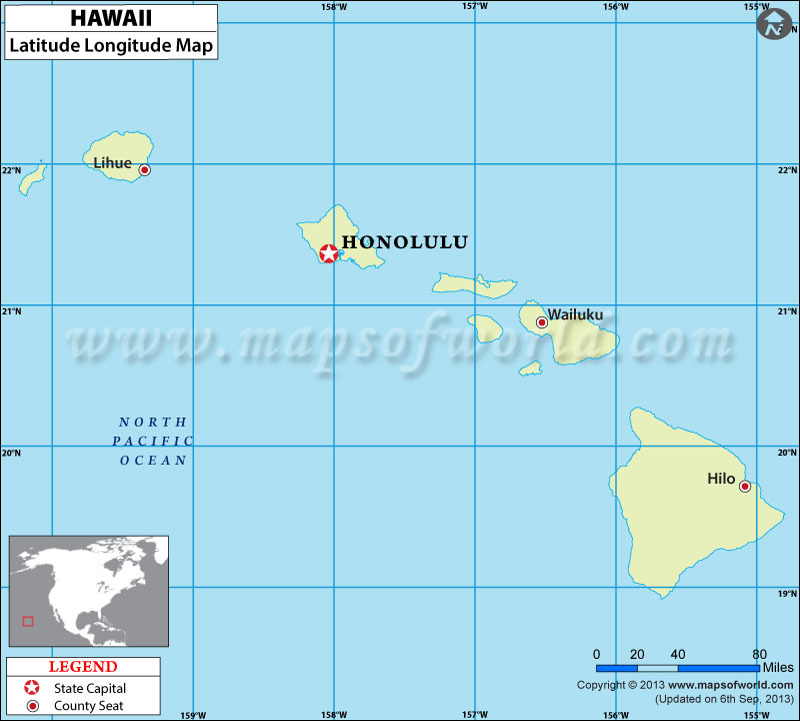 We see how the structure of continents and landmasses are shaped by this. 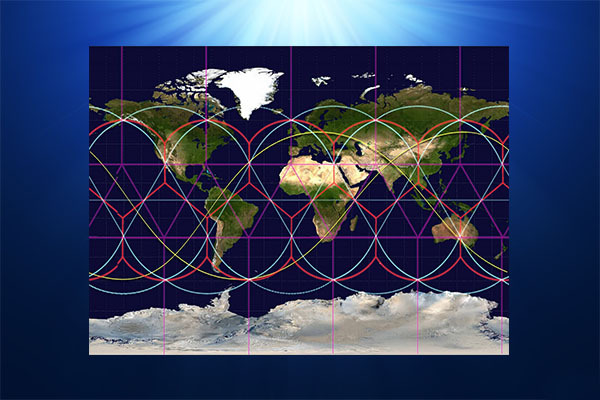 Furthermore, we investigate reports concerning the mysterious disappearances and hyperdimensional effects shown in certain "node points" of this Grid. We already have seen the cube and octahedron in the Earth from Cathie, and the tetrahedron across the Solar System from Hoagland. 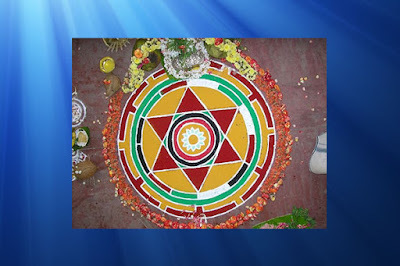 That only leaves us with the task of locating Purusha and Prakriti, the icosahedron and dodecahedron, in order for our Global Grid to be complete. It is William Becker and Bethe Hagens who ultimately solved the puzzle for us. At the time their work was published, Dr. Becker was a Professor of Industrial Design at the University of Illinois, Chicago, and Dr. Hagens was a Professor of Anthropology at Governors State University. Together, they demonstrated how these two shapes were first discovered, and then how they assimilated into the ultimate Earth Grid, which they called the Unified Vector Geometry 120 Polyhedron, or the UVG 120 "Earth Star." Although we had said before that the modern history of the Global Grid may start with Bruce Cathie, the former husband-and-wife team of Becker and Hagens have a different idea. 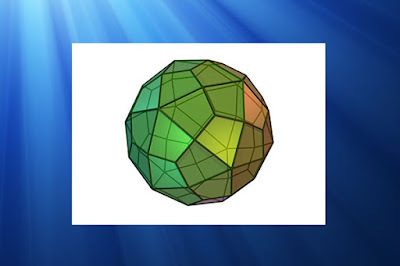 They ascribe this discovery to the work of Ivan P. Sanderson, who was the first to make a case for the structure of the icosahedron at work in the Earth. He did this by locating what he referred to as "vile vortices," or areas of the Earth where mysterious disappearances, mechanical failures and time-space distortions were seen to occur. Obviously, most readers are aware that the Bermuda Triangle reports from the east coast of Florida would fall into this category, but Sanderson looked at other, less popular areas as well. These areas were often referred to as "Devil's Graveyards," since many explorers simply disappeared if they crossed over them at the wrong time of year, apparently with the wrong lunar and planetary alignments activating that particular area. This is an extensive, and informationally dense article by Wilcock, and I would definitely recommend reading the entirety at some point, but for now, we have an investigation to unfold. If we look at this Becker-Hagens Grid, we can see some familiar landmarks (as well as sea markers). We see the outlines of the area known as the Bermuda Triangle off of the coast of Florida, as well as the Devil's Triangle off the coast of Japan, which are well-known phenomenon that sailors and pilots make sure to avoid. To correspond with Wilcock's writing from the above passage, these areas are marked on the Becker-Hagens Grid as major nodal points of the global grid. This gives us mainstream acknowledgment of the validity of different aspects of this grid system (at least to some degree). This deltoidal hexecontahedron is basically an icosahedron interwoven into a dodecahedron. If you look closely, you can see the series of pentagons and overlapping, equilateral triangles. 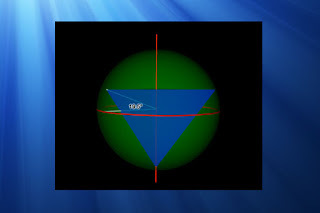 This underlying geometry of the Earth's form is the scientific evidence which suggests that the phenomenon of Earth's ley lines is legitimate, but that's not even the most interesting part. The first time I did research of the ancient, megalithic structures of the Earth, I was amazed, as I found that many of the claims regarding the Earth's ley lines were true. If anyone were to decide to take up the task of looking up each monolithic and/or megalithic structure of the Earth, you will find a contiguous and geometrically consistent arrangement of these megaliths on an intercontinental scales. This arrangement was somehow accomplished primarily by cultures who had barely learned to farm on their own (according to mainstream history), yet somehow, they were able to collectively create this intercontinental grid structure depicting a perfectly geometric, universal constant, using the entire surface of the Earth as their canvas (at least where land was available). With this in mind, it starts to become apparent that these cultures had much more going on than just farming, hunting, and gathering. So, in short, the validity of the Becker-Hagens Grid, combined with the proven geometric structure of the star tetrahedron (as well as our friend, the deltoidal hexecontahedron) tells us that the Earth, as well as most, if not the entirety of the solar system, functions upon some sort of resonant principle which sustains this virtually perfect geometry. As said before, this geometry can even be seen on the surface of our sun, as the degrees of latitude where the greatest number of sun spots appear. With these data points in mind, we can now look into a closely-related subject which reveals the fact that ancient cultures knew much more than modern science gives them credit for. 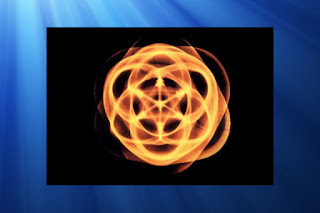 This is the subject of sacred geometry. 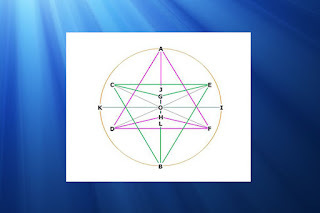 One might explain this concept of sacred geometry as this universal constant which suggests intricate order and harmony within the fabric of the quantum and the astral worlds. This geometry which we have discussed can be seen in the smallest forms in the universe up to the most massive structures. However, at this point, we will look not so much at physical structure, but within an ancient art form within the religion of Buddhism. The Buddhist mandala is both a sacred symbol, as well as an artistic and meditative practice for disciplined monks on their journey to enlightenment. 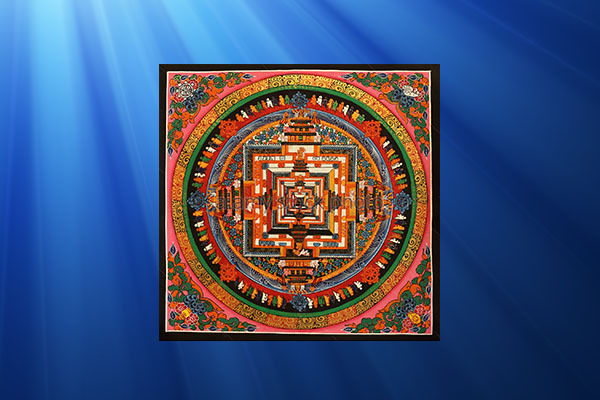 There is much meaning behind the various forms of mandala. 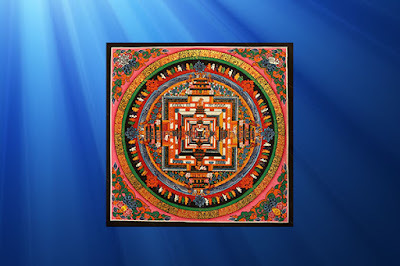 The traditional mandala takes the form of a sand painting. Each one of these paintings is unique and beautiful in its own way, and at the same time, shows the universal constant of sacred geometry. 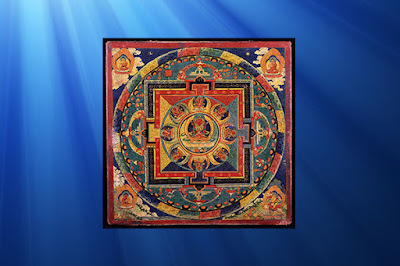 The website, Religion Facts has this to say about what each mandala represents. Within the square palace or temple are images of deities, which are usually the Five Dyani Buddhas (the Great Buddhas of Wisdom). The iconography of these deities is rich in symbolism in itself. Each of the Dyani Buddhas represents a direction (center, south, north, east and west), cosmic element (like form and consciousness), earthly element (ether, air, water, earth and fire), and a particular type of wisdom. Each Buddha is empowered to overcome a particular evil, such as ignorance, envy or hatred. The Five Dyani Buddhas are generally identical in appearance, but are each represented iconographically with a particular color, mudra (hand gesture), and animal. See the article on the Five Dyani Buddhas for more information. 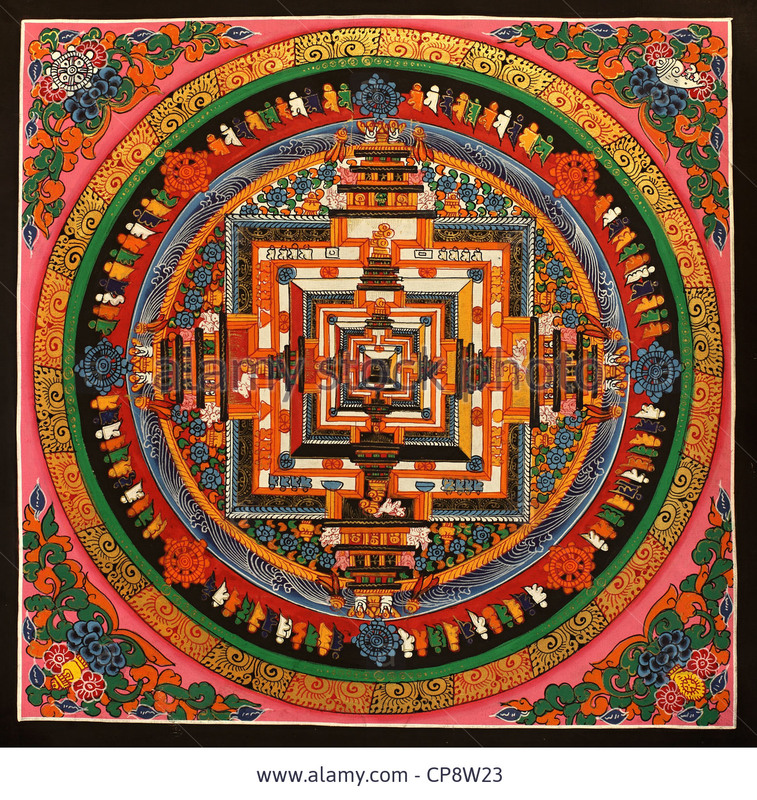 According to this passage, each mandala represents both infinitesimal essence as well as infinite size. 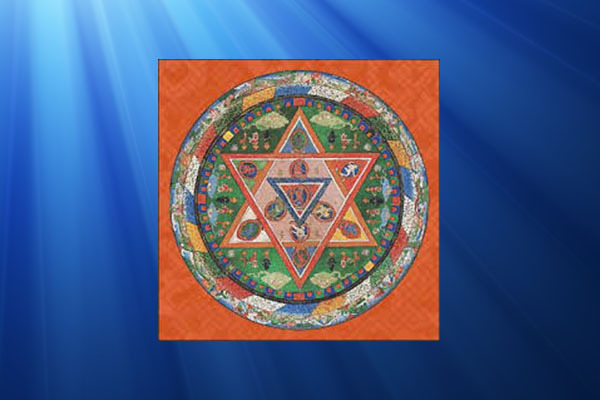 You may have noticed that some of the mandala look different, in that some have the star shape in the center while others have the shape of a square. I was confused by this at first, but then I remembered that these were two-dimensional representations of 3D, universal forms. 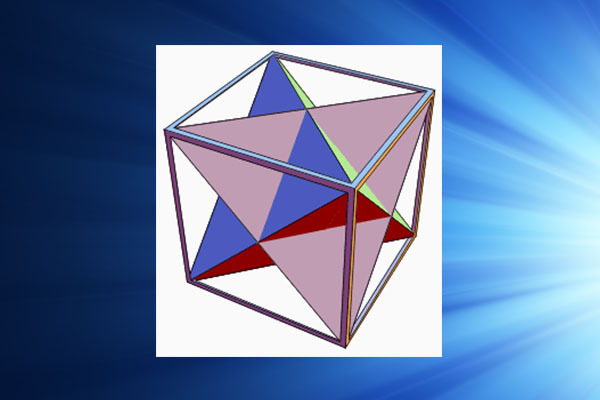 The square represents a cube, the star represents a star tetrahedron, and the two are included within the same geometric form. Along with this form, we also see the surrounding sphere which manifests in the physical universe. This gives us essential reasoning behind why the sphere is so common in our universe. Every star, every planet, even the galaxies themselves manifest this sacred geometry in their own unique way. There is much more to the subject of sacred geometry, but for now, lets continue our investigation of this universal geometry which seems to have countless levels of pronunciation. There is one particular scientist who has virtually rewritten the universal concepts which conventional science never before thought to question. By doing so, this scientist made new breakthroughs in theories in quantum physics. This man was Dr. Nassim Haramein. Dr. Nassim Herramin is a well-accomplished physicist who has rewritten many of the fundamental ideas which most scientists formerly took for granted. Nassim had a difficult time in early school, as the lessons within science didn't quite make sense to him. There were areas of consideration which the classes did not cover. As he progressed in his education and career, he found that many of these questions were still left unanswered by the scientific mainstream. So he set out to answer them himself. This is the situation in which his most profound discoveries in quantum physics were made. 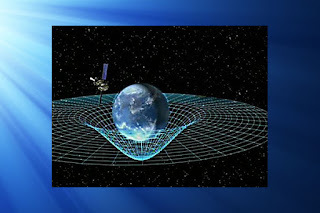 Nassim Haramein theorized that space-time was a fluid, though these findings seemed to be contrary to Einsteinian relativity in a number of ways. 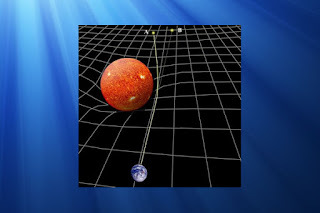 Einstein envisioned that space-time was something similar to a sheet or a flexible plane, and that gravity was a result of the existence of the planetary and astral bodies which sit on top of this sheet. As David Wilcock pointed out, there is a problem with this model because it would only work on a single plane. Unless gravity only worked on this single plane within space, this model is inaccurate. Gravity is omnidirectional. It doesn't happen on just one plane like a deformed sheet. It works no matter the arrangement, or the angle of interaction between two bodies. So what's the solution? The solution is that relativity needs a bit of tweaking, and this is exactly what Nassim Haramein did. He theorized that space-time is fluid-like. 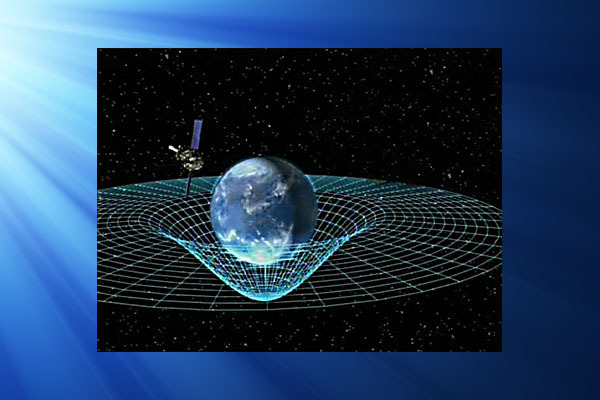 This is the only way the fact of omnidirectional gravity could be explained. This idea was rejected at first, but eventually, the scientific establishment began to allow their mindset to be somewhat flexible. Along with this, Haramein found that the mathematics surrounding the functionality of the black hole is directly proportional to that of the nucleus of the atom. 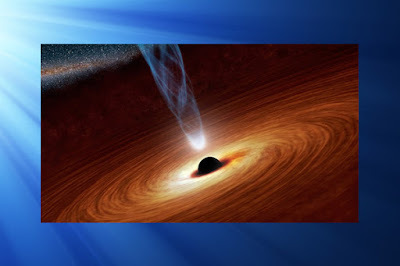 The explanation behind this is rather complex, but in short, he found enough evidence to conclude that the physics of a black hole is the exact same physics of that which governs the atomic nucleus. This finding held numerous implications. The relationship between the atom and the black hole tell us that both the black hole and the atom are powered by gravity. It also tell us that the gravity can be manipulable by electrical charge, as the atom is influenced by electrical charge. (This gives credence to the principle of electro-gravity technology.) On top of this, there is a specific principle which defines the concept of the geometry within the sphere. The explanation is fairly complex, but I will do my best to summarize and to provide links for those who would like to read more. 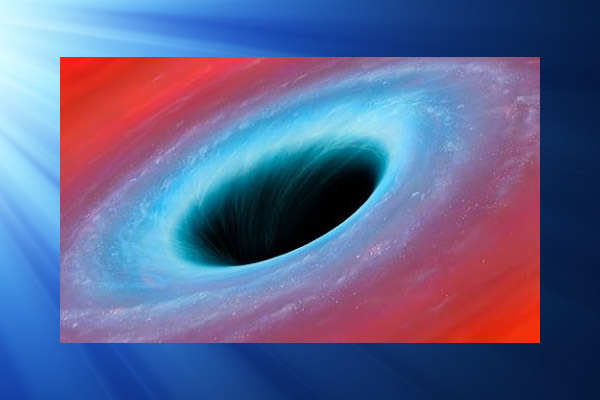 There is an area around the central region of the black hole known as the “event horizon”. Outside of this boundary, space-time may seem familiar to you and I, but once we cross it, the laws of physics change. Time and space begin to warp and behave much differently than we would be used to. However, the model of the black hole, like many of the inadequate models within elementary physics, was inaccurate. 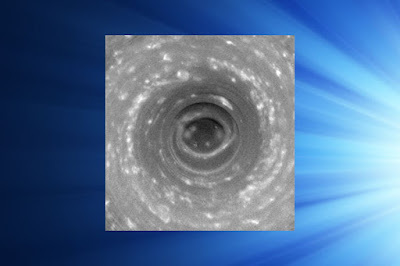 This is a model of a planar hole surrounded by a whirlpool-like vortex, but black holes don't function this way. If gravity is the omnidirectional constant we've discussed it to be, than it would not simply go in one direction. It would flow toward a central point from every direction, much like a planet pulls object toward itself from every direction. So what we end up with for the accurate model of the black hole is just like the model for everything else in the universe. ...Not a planar hole, but a spherical hole. What if Nassim Haramein was Right? This spherical model of the black hole is precisely what we would see in the dynamic of a star. 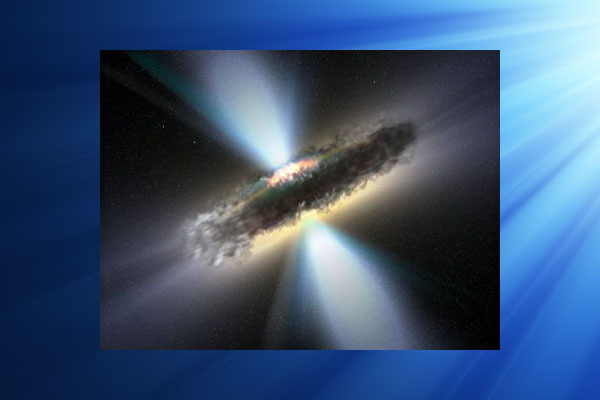 We would have gravity flowing into the star and the black hole within it, and then flowing out again. 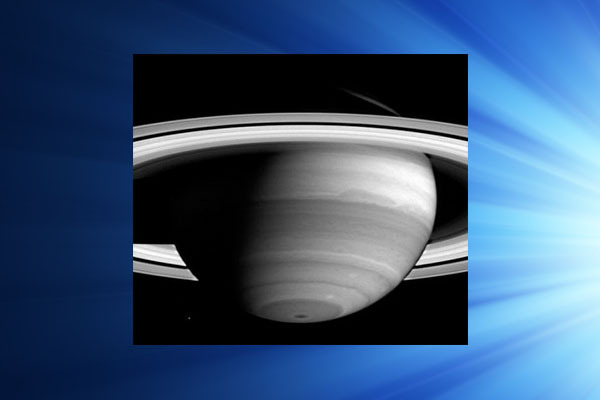 This circulation would take the form of the spherical torus we see throughout nature. This form rotates on all planes, as seen below (lower image). 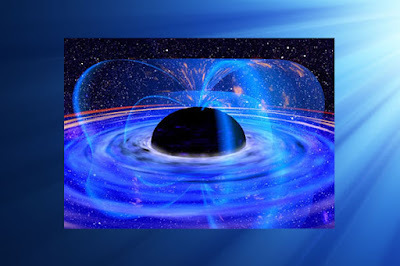 This toroidal flow of gravity (relative to the phenomenon of torsion fields) is actually what causes matter to exist--everything from the quantum level up to the astral level. Everything absorbs gravity in this way, creating some pronunciation of a sphere. This toroidal flow circulates inward, outward, and back in again, and has the outer-most boundary of the sphere. This toroidal rotation is likely the force which causes the Earth's Coriolis Effect, rotating counterclockwise in the northern hemisphere, and clockwise in the southern hemisphere. We may not be able to see the pronunciation of these major vortexes on the rocky planets (as volcanic eruptions tend to manifest instead of large, visible vortexes), but we can observe them on gas giants such as Saturn. 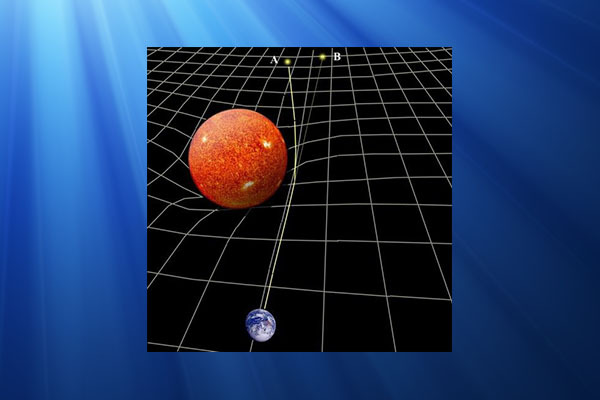 According to the fluid model of space-time, this outer sphere is termed a “white hole” or what is referred to as the “schwarzschild radius”. According to Wilcock, this radius is actually the spherical surface of the star. It can also be seen in planets, and on all levels down to the atom itself. In fact, according to Nassim, the atom and the black hole function on the same physics. The atom has the same event horizon/schwarzschild radius as the black hole, only on a quantum scale. (There was one important point made during this show which I feel deserves particular attention. That is the observation of the equivalence principle between the strong nuclear force and the weak nuclear force. This is to say that strong-nuclear is exactly ten times stronger than the weak nuclear force. According to Wilcock, this is something that scientists have scratched their heads over for quite some time, but Wilcock makes the observation that this exact proportionality may suggest that these two forces are geometrically related. In fact, it is very likely that this energy which we have discussed explains this equivalence quite thoroughly. This explanation may be a bit drawn out, but it is necessary in defining the relationships between sacred geometry, platonic solids, and the black hole. 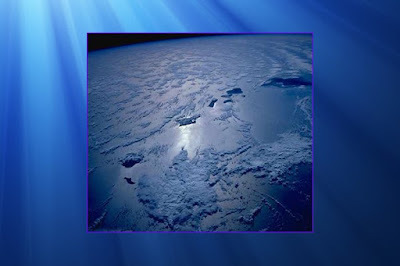 We discuss these subjects not just to be thorough, but because they feed into the ultimate goal of pyramid technology. 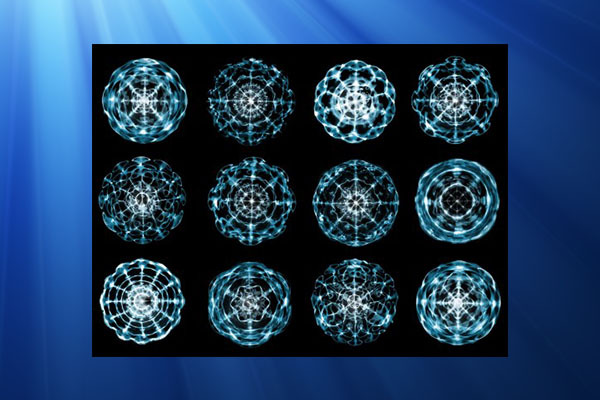 We've established the fact that perfect geometry can be produced from sound frequencies projected into fluids, and that space-time itself is most likely fluid in nature. 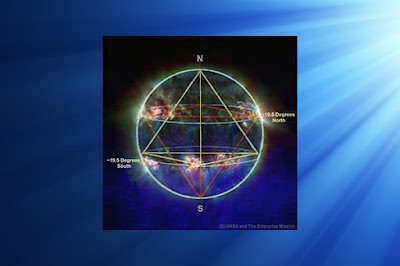 We've shown that we see this sacred geometry within the solar system, and that the entire universe has this pronunciation of sacred geometry in the form of the merkaba (causing magmatic or gaseous vortexes at 19.5 degrees). 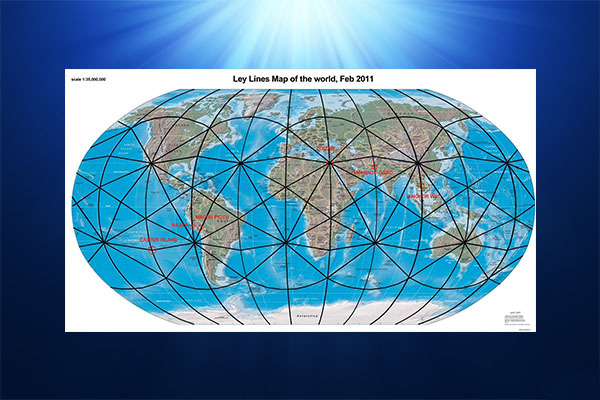 We then established that the ley lines of the Earth (the nodes of this three-dimensional, standing wave) followed this exact same sacred geometry, and along with this, that virtually every single megalithic/monolithic structure was built upon these ley lines with virtually exact precision. Add the concept that gravity flows into and out from an atom the exact same way that it does a planet or a star (allowing each to exist), and what do we get? There is much evidence to suggest that gravity is not just a force that keeps our feet on the ground, but that this force which creates existence is life-force itself. It is space-time, order, and consciousness. This is the energy which flows into, and out from a planet. Wilcock makes the point that the pyramids are like funnels which catch and harness this energy. If you were to turn one of these funnels upside down, poor fluid into it, and poke a hole in the bottom of it (the peak), what will you get? You will get a vortex, which is exactly what these pyramids are named after. This is why they are called House of Energy and Fire in the Middle. They harness the up-flow of life-force energy, concentrate it, and allow it to be absorbed by those inside the structure. They produce healing effects, reverse-entropic effects, and much more. As the Law of One texts states, the pyramids “were designed to balance the incoming energy of the One Creation with the many and multiple distortions of the planetary mind/body/spirit”, and we have defined the science which validates this statement. So we have these enormous pyramid structures which are designed to harness and concentrate this source energy for the benefit of the entire planet, and the life on it. 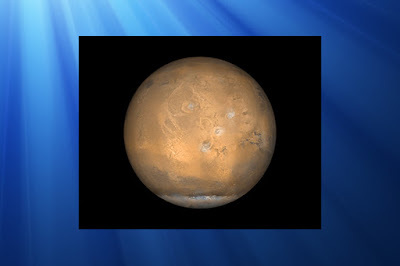 We have established numerous concepts which validate that their location and construction is based upon a fundamental, geometric structure which can be seen throughout the solar system, as well as the entire universe. As I said at the beginning, this subject is informationally dense and quite the task to learn about (not to mention write about), but once you get the basics down, it becomes much more fluid, cohesive, and tends to make more sense than conventional physics. I am of the belief that, considering the courageous and provably intelligent minds who have divulged this information to the common people, this is actually the big secret that the cabal and it's various factions wanted to prevent the people from learning (by promoting scientific and social narratives which pretend that this geometric order doesn't exist). Why? ...Because it tells us that all life is connected, and that the universe is not simply some dead, thermally decaying, random mass of nothing. This universe has order (as we have seen in repeating patterns), it has consciousness throughout (as our consciousness is part of this fractal infinity), and if these are true, this universal consciousness has intention. This information tells us that we, as beings, are infinite. The fractal nature of the universe tells us that this infinity includes us and that we each play a role in its development and progression, and I believe it is of greatest importance that each of us bear this in mind as we progress on our journey through the finite and the infinite. 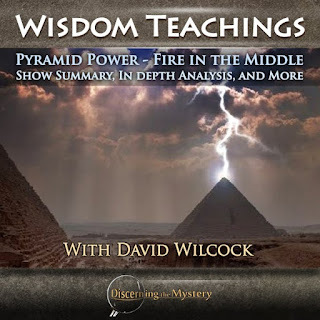 Click here to watch Wisdom Teachings: Pyramid Power: Fire in the Middle. You must have an account with GaiaTV in order to enjoy these videos. Go to www.blueavians.com, and you will be able to sign up for one month of access for $0.99.